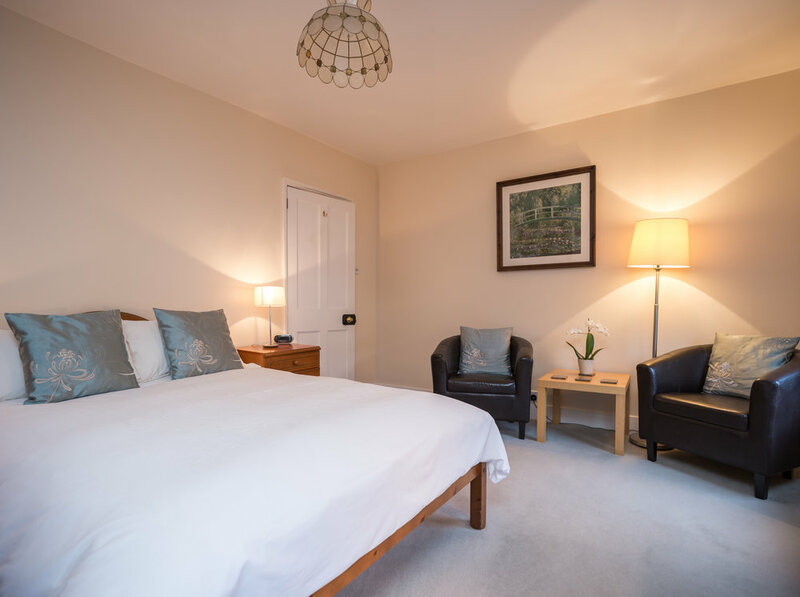 The spacious main bedroom has one double bed and a seating area with leather armchairs. The separate private bathroom is yours to enjoy exclusively. For larger parties a second bedroom with one double bed is also available when booked with the main bedroom. Your stay includes a freshly cooked English or Continental breakfast. Both bedrooms have a television, alarm clock, hairdryer, beverage tray, electric kettle and bathrobes. Complimentary WiFi is available throughout the property. Please complete the following booking form and Julia will confirm your stay within 24 hours. Please note that room prices may be subject to change. We kindly ask for payments to be made by cash or UK cheque only. Thank you for your understanding. Thank you for making your reservation request. Julia will be in touch shortly!